From the folks over at Wired magazine's blog, a story about how Toyota is hypermiling its tiny iQ through parts of Europe, and getting more than 500 miles per 8.5 gallon tank. Hybrid? We don't need no stinkin' hybrid! 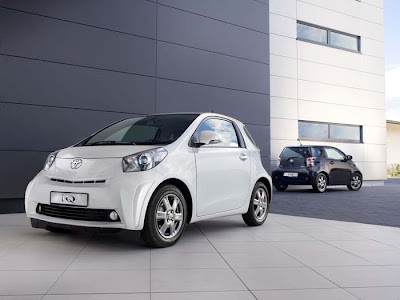 Plus, check out the link to Toyota UK's iQ blog below.